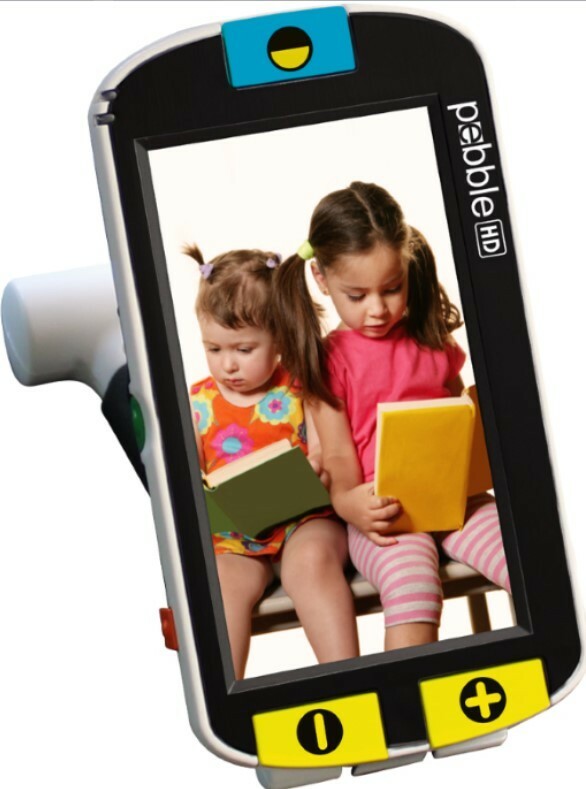 Pebble HD — The only HD Handheld Magnifier you’ll ever need — now comes with its own stand! 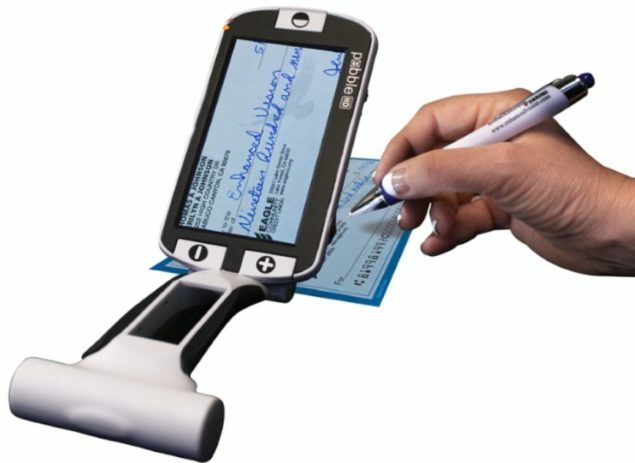 Pebble HD with stand is a low vision magnifier that has an HD camera providing a crisp, clear, colorful, high definition picture. 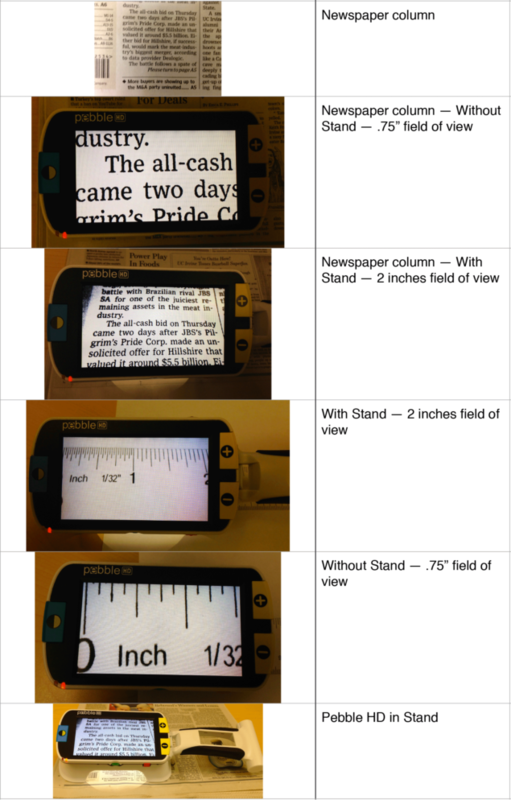 The Pebble Stand gives you increased magnification (3x more) without having to lift your pebble from the reading surface. 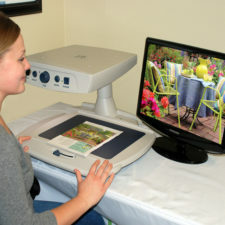 Its ergonomic design allows you to sit back and read at a more comfortable angle. 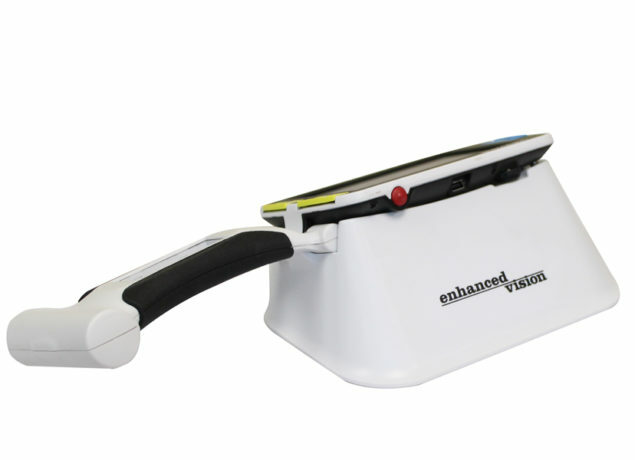 This portable low vision magnifier with hands-free stand allows you to effortlessly glide through reading materials. 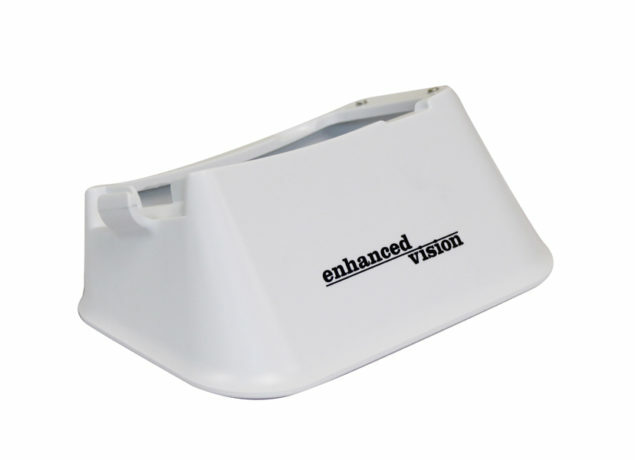 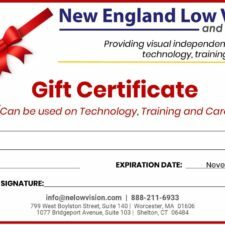 Its ergonomic lightweight compact design makes it the perfect low vision aid whether at home, at school, in the office or on the go. 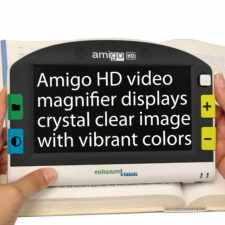 Carry this low vision magnifier in your pocket, purse, or clip it on your belt with the included carrying case.